Today we heard of a sad passing in the worlds of jazz and explorational music. 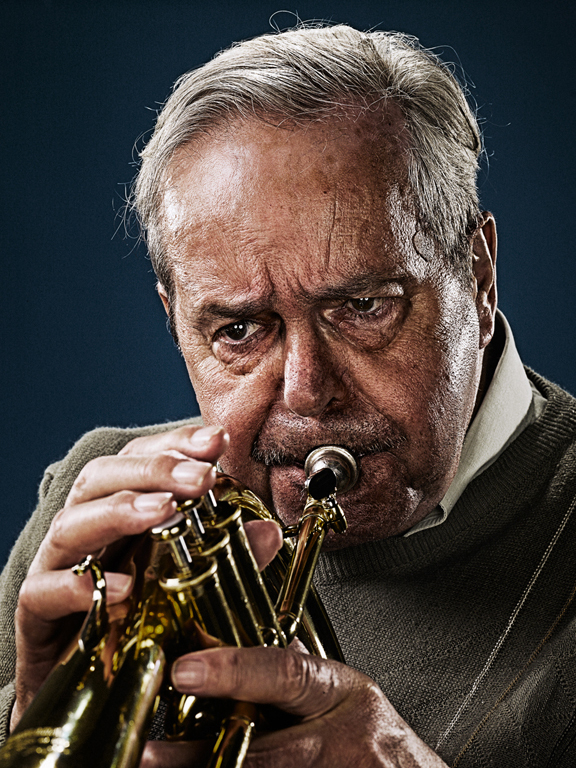 Kenny Wheeler was a Canadian-born player of trumpet and flugelhorn as well as an accomplished composer. He was 84 years old, and has been in failing health for some time. His work as a leader, as well as with such diverse figures as Anthony Braxton, Ian Carr, Bill Bruford, David Sylvian, Graham Collier, and scores of others, redefined what a flugelhorn could do and brought many musical worlds together. It was with great sadness that we learned today of the passing of Kenny Wheeler, the great jazz trumpet player and composer. It is hard to express just how large a contribution he made to the music in this country and around the world, and how deeply he touched the musicians that had the honour of working alongside him. Kenny was an important and much loved figure to the jazz department here at the Academy. He was the founding patron of our Junior Jazz programme and the subject of a year-long exhibition about his life and work. We are extremely proud to hold the archive of his manuscripts and every year award the significant Kenny Wheeler prize, inaugurated after the unforgettable evening in the Duke’s Hall celebrating his 80th Birthday. With Kenny’s passing we say goodbye to one of the great musical innovators of contemporary Jazz. His harmonic palette and singularly recognisable sound will live on in the memory of all who heard him and in the extraordinary legacy of recordings and compositions he leaves behind, inspiring generations to come. Famously self deprecating, Kenny was always modest and humble about his own musical achievements. But the truth is, he was a genius walking amongst us, and it was the most tremendous privilege to have been able to consider him a dear colleague and friend.